Are you searching online for an IT Support Business in Tasmania who specialises in Not For Profit Organisations? If so, give us a call and see what fast, friendly and highly-responsive outsourced IT services should be. Motivate IT are passionate about working with organisations in the Community Services and Not for Profit Sector. We are specialised in delivering custom IT and systems support to Not for Profit organisations across Tasmania. 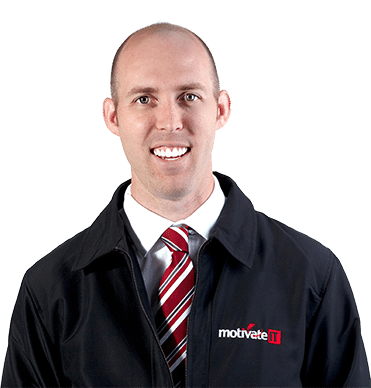 Motivate IT provides the knowledge and solutions to save your business the time, money and frustration that result from data loss and IT system failures. Motivate IT’s Virtual CIO (Chief Information Officer) service provides smaller organisations a resource equipped with a strong technical background and skilled in a wide range of IT platforms, technologies, and strategies to serve as a strategic IT adviser and leader. Every company has technical demands that need to be met. For small businesses, the technical demands are there, but the need for a full-time IT team is not. That’s where Motivate IT comes in. About hiring an honest, competent, responsive and fairly priced IT provider. The report explains everything you need to know about taking the first step to procuring assistance with your ongoing IT maintenance and support. These 21 questions should be top of mind as you evaluate IT services firms. Comparing Apples with Apples! It’s essential reading before you settle on a technology Business to put your faith in. ©2018 Motivate IT, All Rights Reserved. 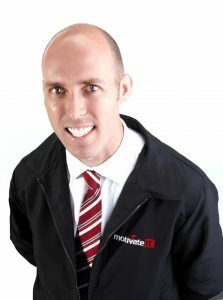 The #1 IT Support Business for Not for Profits in Tasmania, Australia | Motivate IT.